According to a survey, less than 32% of the Americans are satisfied with the size of their current homes, they either want a smaller place or a bigger one. It might be surprising to some, but smaller homes are also in demand as they are easy to maintain and afford. However, most people are on a lookout for bigger homes as cluttered spaces look unattractive. While you might not necessarily be able to increase the space you have, you can take steps to at least make your home look bigger than it actually is. To help you in this regard we have compiled a list of six things you can do to make your home look bigger. Many houses have too much furniture stuffed in one room. This can make the room look cluttered and small. Moreover, poor arrangement of furniture can also make it difficult to move around from one corner to the other. If your room is too difficult to move around, and you have to stumble over things on your way to the next room, then consider rearranging your furniture. Try to do that in a way that it doesn’t block the entryways or the way points from one corner to the other. Moreover, get rid of things that you do not need. A lot of us like to accumulate things for no reason. If you have furniture that is of no use consider getting rid of it. You can sell it online for a good price or just hold a garage sale. 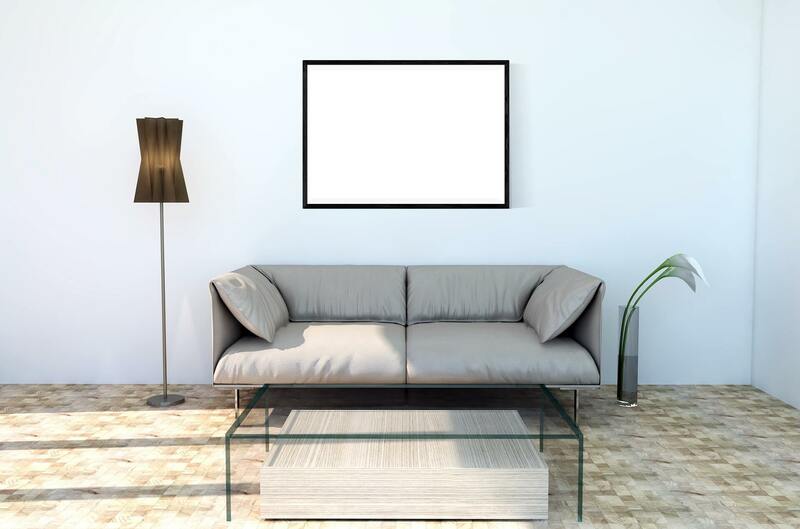 If you’re moving to a new place then consider investing in new furniture with thinner legs. Thinner legged furniture creates an illusion that there is more room available there then there actually is. If your apartment or room has a lower ceiling, it can make a room look small. You can make it appear bigger by investing in furniture that is lower and elongated. Such furniture can create an illusion that your ceilings are higher and your room is wider. Scandinavian furniture is one of the best options available as not only is it short and long, it also has skinny legs. Proper lighting is of huge importance. It does not only make the room look neater, it can also make it look bigger. Go for light colors as dark colors absorb light which can make a look appear smaller. Rather go for light colors such as white and off-white. You can also pick light shades of green and blue. It’s not just big things like furniture that can make your room look less spacious, little items like toaster in the kitchen or floor lamps can also make it look untidy and full. Plus, they take floor space which can be a killer. Hiding these items in storage since you don’t use them every day can significantly help make your room more spacious. You can also get cabinets to store such items. They can built in the kitchen, bathroom and other corners as well. Just get in touch with a good company to help you with this. It is an investment but one that can provide you with many benefits. They will not only keep your home neat, but will also help sell it quicker and at a good rate. However, make sure to get in touch with a company that is affordable and works with a reliable ringlock scaffolding supplier so that your work is done in a safe manner. One of another recommendations the interior designers give is to use a mirror to make a room look bigger. More trick you into thinking that your room extends more than it actually does. However, the most important thing here is to place the mirror in the right manner. They do not only help make a room look bigger, but they can also be used to reflect light which can brighten the room and reduce the use of bulbs. Even though these tricks won’t make your room physically bigger but they will certainly give it an illusion of being one.